We arrived Wednesday and we’ll stay through Monday. This will be one of our last stops before we arrive at Crazy Horse Campground in Lake Havasu City, AZ our Winter hangout. Next Wednesday we have annual maintenance done in Phoenix on our motorhome. Then it’s off to Lake Havasu. 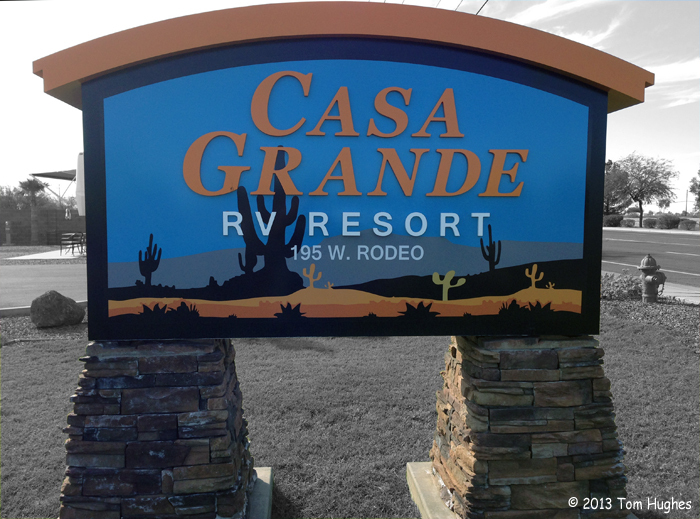 Our current campground, Casa Grande RV Resort, was a disappointment at first because the campground’s dog park was just a walkway around a water retention pond. Super. However, we found a great county dog park less than a mile away. Here’s a movie of Ellie and Flirt enjoying the park’s grass . 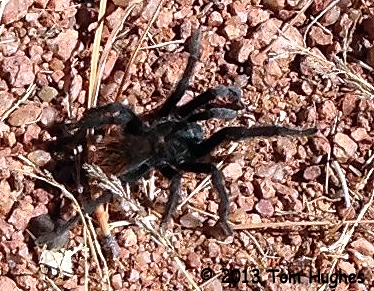 . .
Jan took a morning hike on a Nature Trail in Catalina State Park. Some photos from her trip . 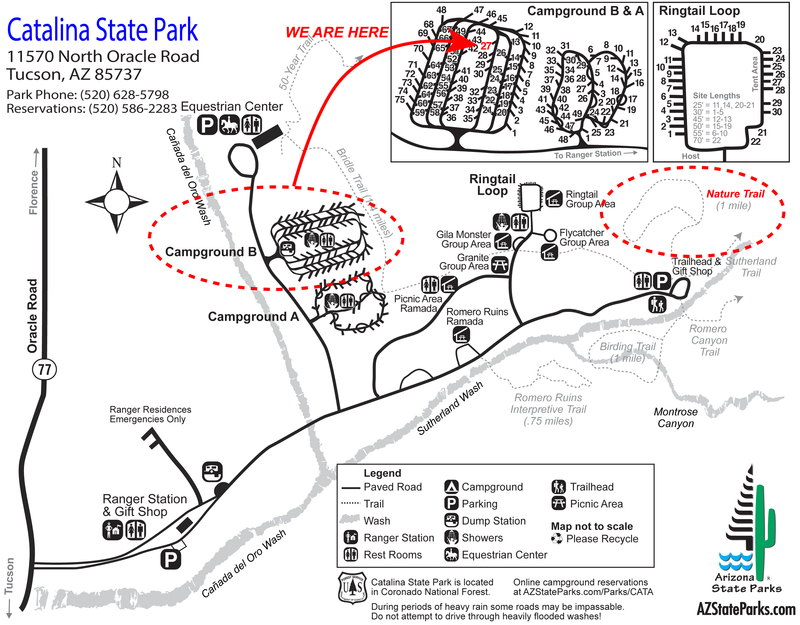 . .
After two nights at Lazydays campground, we drove 20 miles north to Catalina State Park. This is more our idea of a destination. Let the photos do the talking . . .
We had a lot of laundry to do so that means it’s time for a commercial campground! After an overnight stay at Gallup, NM, it was on to Arizona, and Jan did the driving again. God Bless her. The drive to Fool Hollow State Park in Show Low, AZ was about the same distance as yesterday. We’re at about the same elevation as Gallup, NM (6400 feet), so the nights are cold — in the mid-20’s. Now we get the whole temperature/elevation thing — the higher up you go, the colder it gets. Our next stop after Show Low, is Tucson, AZ which is only about 2600 feet above sea level — much lower and much warmer at night (mid-50s instead of mid-20s). Our Winter destination, Lake Havasu City, AZ, is only 735 feet above sea level. We’ll get there November 1st. Some Show Low photos . . .
NEXT STOP: Catalina State Park near Tucson,AZ.